Dr. Hansard received his undergraduate degree from Bucknell Unversity with a B.A. in Biology and French. Afterwards he continued on to graduate from the University of Texas Science Center in San Antonio. He decided to continue his dental education and serve his country by attending an Advanced Education in General Dentistry and Joined the United States Air Force. In 1999 he was honorably discharged and joined Dr Yarbro in Valley Mills. He resides in China Spring with his wife Amanda and 2 daughters, Gabrielle and Claire. Dr. New grew up in Clifton, TX. After he graduated from Clifton High School, he attended Texas A&M University. He received his undergraduate degree in Biomedical Science. After A&M, he chose to attend Baylor College of Dentistry in Dallas. 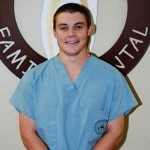 Upon completing dental school he began practicing with Dr. Yarbro and Dr. Hansard. He currently resides in Clifton with his wife Julie, son Judd, and daughter Lucy. 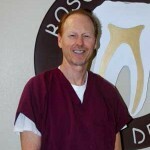 Dr. Joe Hunter Yarbro graduated from the University of Texas at Arlington in 1974. He then attended Baylor College of Dentistry, graduating in 3 years in 1977. In June of 1977, he opened his practice in Valley Mills, TX. Dr. Yarbro and his wife, Nancie, live in Laguna Park on Lake Whitney. They enjoy water sports, golf, and helping take care of their grandson, Hunter. Dr. Yarbro has participated in medical/dental mission trips, especially to Mexico, for 30 years. 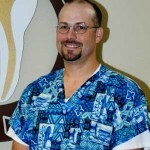 He is a member of the American Dental Association, Texas Dental Association, Central Texas Dental Society, and Christian Dental Society.